Your loved ones deserve compassionate care! When you find yourself overwhelmed by the responsibility of caring for a loved one you can turn to Christian Home Care® to take over the day to day tasks. Our Christian caregivers are willing to ease your worry and step in to help manage. Our aides have been thoroughly researched and are bonded and insured. Christian Home Care® only employs those who are able to pass a detailed criminal and personal background check to ensure your security. When you find yourself overwhelmed by the responsibility of caring for a loved one you can turn to Christian Home Care to take over the day to day tasks. Our Christian caregivers are willing to ease your worry and step in to help manage. We provide the highest level of care before, during and after all types of procedures or life experiences – such as surgery, long term care or after the loss of a loved one. At Christian Home Care we are dedicated to ongoing education with all topics related to senior health and aging. All our home care aides treat your family like their own, our compassion for others is rooted in faith and we consider it a blessing to be of assistance to your loved ones. When you turn to Christian Home Care to find the right fit for your family, rest assured that our candidates have a genuine passion and love for others. We are an ehtical and Christian organization whose caregivers are called to do God's work by providing care and support to those who need it most. Deciding on Home Health Care for your loved one? Choosing a Home Care Agency is a very big decision that is not always easy. The care that is needed can vary from companionship to personal care. Each situation is unique and it is important to find an agency that can meet your needs. You should make sure all of your questions are answered before deciding on an agency. Make sure YOU interview the company before selecting an agency. Find out if the company is a franchise. You may find more flexibility with a local company that is not part of a franchise. CHC is not part of a franchise. We are a small company that can tailor our services to each individual’s needs. Are they part of the local BBB? Yes, CHC has been a part of the BBB since 2009, which is when the company was founded. How long has the company been around? CHC was licensed beginning in 2009. We originally were under the umbrella of a local staffing agency, which has been serving the area for over 40 years. Is the agency able to submit testimonials from other clients? 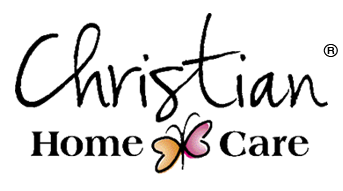 Yes, you may find testimonials from clients and their families on our website at www.christianhomecare.com. Does the company have a Mission statement? Our mission is to enhance the quality of life for others by providing the personal care, compassion, and spiritual encouragement they need and deserve in the comfort and familiarity of their own home in a way that is pleasing to God. Core Values? Our values at CHC include: Family first, Empower our people, Provide exceptional service, Build lasting relationships, Promote dignity, Respect the individual, Care about our community, Caregivers and business founded on Christian values embodied in our caregivers. Vision Statement? To enable every person who wants to stay safe and comfortable in his or her own home to be able to do so. Is there a maximum/minimum amount of hours per day/week? Clients may request anywhere from a minimum of 2 hours to 24 hours in a day. There is no minimum amount of hours per week, month or year. 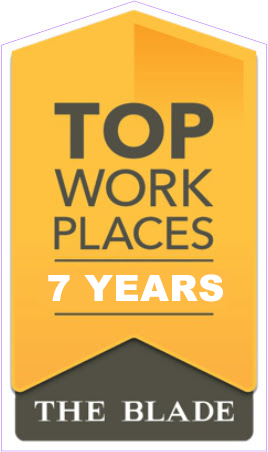 Is the company’s staff compassionate? Do they treat their clients and family members in a personable manner? All of our staff/caregivers treat each and every client and family member like a member of their own family. Be sure to ask about their rates and what their billing procedure is. CHC sends out the invoices weekly. We have a base rate. Call us for more details. How do you receive a schedule for the caregivers? Can you decide on your own schedule? You decide when you need assistance. The schedule is what works best for you or your loved one. We can email or mail your schedule for the week. How is time billed? How the caregivers are held accountable for their time worked? When the caregiver arrives, they use the client’s phone to log in/log out. Your number is linked to your account. Documentation for tasks completed are kept in a binder at the client’s home until the end of the week. Every week the sheets are brought into the office to be placed in each of the client’s electronic files. Do they do a complete evaluation of the client and prepare a care plan that is geared to your needs? When we initially come out for a meeting, the needs are discussed. We gather information about their health and personal information. We use the personal information so the caregiver can get to know the client as a person, not just another client. We put together a care plan that is geared for each individual. Changes in the care plan are adjusted as their health changes. What is the turnover rate of the caregivers in the company? We have a low turnover rate. We were named A Toledo Top by the Toledo Blade for 4 consecutive years. We have caregivers that have been with the company since it was founded in 2009. Find out how the caregivers are trained. Do the caregivers receive ongoing training? Our RN provides a training session every month at our monthly caregiver meeting. If a caregiver needs to call off, will they have coverage for that shift? We do everything possible to cover shifts that are scheduled. We have a great pool of caregivers that try to help each other and go above and beyond for their clients. What can the caregivers offer to you and the family? Personal care? Can they drive you to the store and/or appointments? What kind of tasks can they do in the house? Vacuum? Laundry? Prepare meals? Both companion caregivers and STNA/CNAs can provide transportation to appointments, church, store or anywhere else the client needs to go. All of the caregivers will assist with any light housekeeping, vacuuming, cleaning floors, laundry, or anything else that is required. The caregivers understand the importance of good nutrition for the client’s health as well as exercise and doing ROM exercises. They can prepare meals that are well balanced and geared for special diets. Talk to friends and family about Home Care Agencies. Also, talk to the doctor about the needs that you should consider receiving service for.